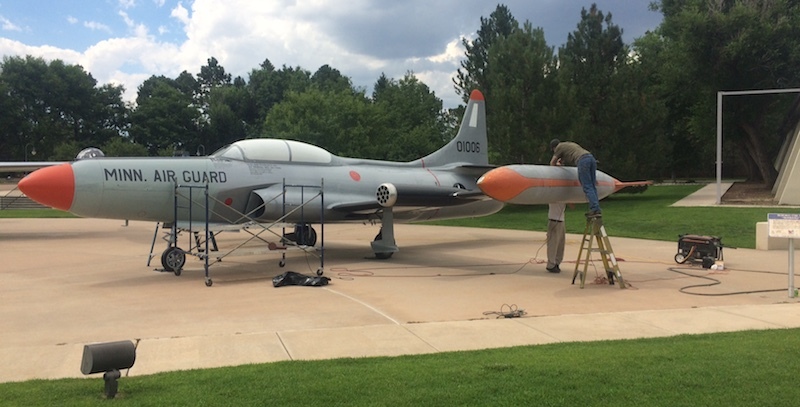 Ponsford Ltd., is the most unique conservation group in the United States and has been using Mi-T-M equipment for over 25 years. Ponsford has developed into a highly regarded conservation, restoration, and preservation group since its inception, but the tools with which they operate has required little change. 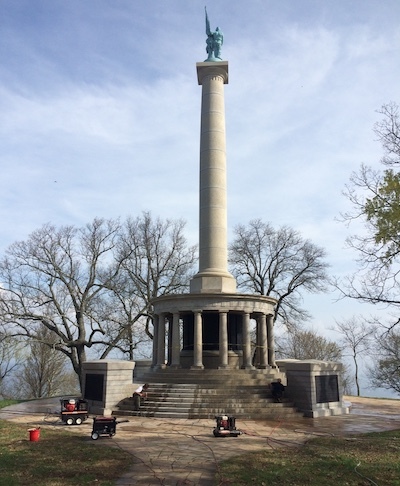 Peace Monument at Lookout Mountain – Chattanooga, Tennessee (National Park Service) *Additional laser treatment powered by Mi-T-M generators. 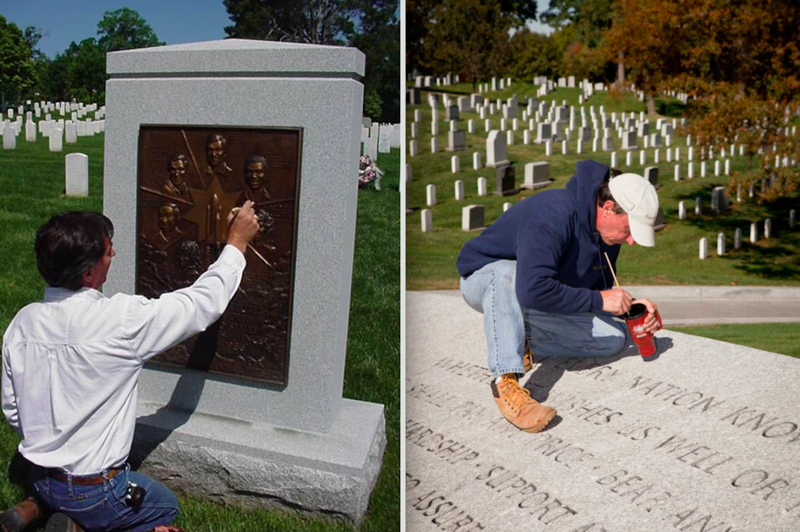 From 1984 – 2006 Ponsford was granted the honor of cleaning and preserving monuments at the Arlington National Cemetery such as the Tomb of the Unknown Soldier and the John F. Kennedy Grave. Mi-T-M pressure washers were an essential tool when it came to cleaning 300,000 white head stones in just 6 months time. That’s 50,000 head stones a month, so you can see why dependability mattered. Protecting these historic landmarks against deterioration and maintaining their integrity is vital for the remembrance and acknowledgment of why they are placed there. Arlington National Cemetery honors those who have served our nation by providing a sense of beauty and peace for guests of the site. The impressive landscape in Arlington, VA serves as a tribute to the service and sacrifice of every individual laid to rest within the hallowed grounds of Arlington National Cemetery. As a conservation group that operates around the globe, servicing monuments of Arlington National Cemetery is an extremely prestigious opportunity. Decades of experience has given Ponsford the intimate knowledge needed to effectively clean highly valued monuments, statues, and objects. All of this experience has led Ponsford to rely on Mi-T-M equipment because of the superior performance it has provided. Hot and cold pressure washers are used to clean these monuments and provide contrasting results. A hot water pressure washer does an amazing job of removing surface mold and other debris from a sculpture without needing to increase the pressure from the washer. This prevents erosion and surface wear that can compromise the structural integrity of the monument or statue and can be costly to repair. Cold pressure washers aren’t used as frequently on delicate surfaces but are used on heavy duty metal surfaces where a sandblasting tip is used for more abrasive applications. 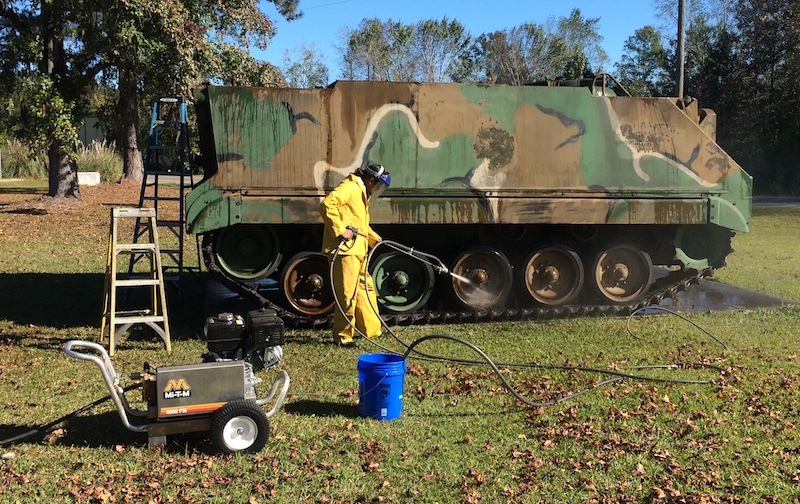 A cold-water pressure washer and sandblasting tip is generally used on memorials such as tanks and heavy artillery installations seen at national and local parks. Mr. Ponsford points out two important reasons why he’s chosen to stay with Mi-T-M products over the years: reliability of the equipment and service from the dealers. Mr. Ponsford’s travels take him across the entire globe but he is always able to find a Mi-T-M servicer wherever he goes. Furthermore, under a federal or government contract there is no leniency with malfunctioning equipment. With Mi-T-M equipment being so reliable, he has never had to look elsewhere.